For more than 50 years, SAGE has been at the forefront of research and scholarship in the fields of research methods, statistics, and evaluation, publishing the work of leading minds in groundbreaking textbooks, highly influential journals, and must-have reference materials across the curriculum. Known for our quality content and cutting-edge, innovative resources, instructors, students, and researchers around the globe trust us to provide the tools they need to succeed in today’s data-driven world. 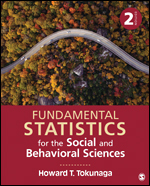 Fundamental Statistics for the Social and Behavioral Sciences, Second Edition, places statistics within the research process, illustrating how they are used to answer questions and test ideas. 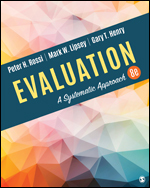 Evaluation: A Systematic Approach is the bestselling comprehensive introduction to the field of program evaluation, covering the range of evaluation research activities used in appraising the design, implementation, effectiveness, and efficiency of social programs. 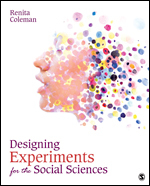 Designing Experiments for the Social Sciences: How to Plan, Create, and Execute Research Using Experiments is a practical, applied text for courses in experimental design. The text assumes that students have just a basic knowledge of the scientific method, and no statistics background is required. With its focus on how to effectively design experiments, rather than how to analyze them, the book concentrates on the stage where researchers are making decisions about procedural aspects of the experiment before interventions and treatments are given.